The fashion when Grace Kelly graced the silver screen was that of elegant, ladylike style. Dior had just unveiled his “New Look,” which, for evening, was defined by snug bodices and full, floaty skirts, and women dressed to the nines and draped themselves with divine jewels for a night out. To evoke the glamour and romance of the era, go with a gown that captures the sophisticated, feminine spirit of Ms. Kelly’s style but with a distinctively modern twist. Layer jewelry that’s fit for a princess – a hair comb glittering with Swarovski crystals both large and small, a gleaming CZ cuff, and, of course, spectacular chandelier earrings! 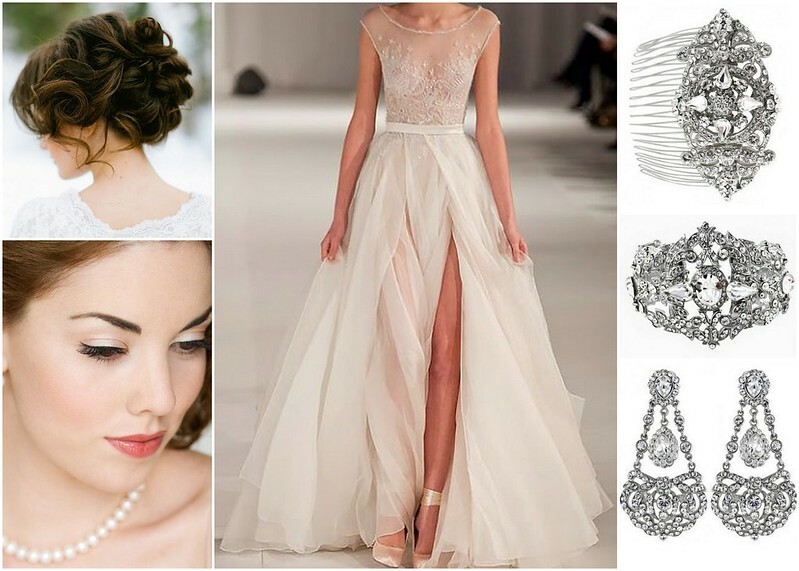 Show off your jewels with an up-do of romantic curls, and draw from a makeup palette of soft pastels. If Dior’s New Look exaggerated A-line silhouette is the look you love, strike a balance of vintage and current with edgy tiers adorned with lace applique. 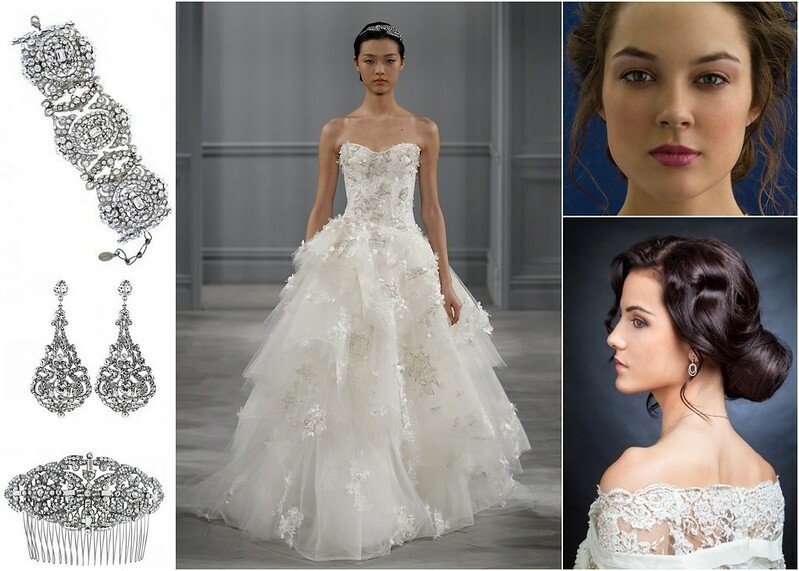 Accessorize with a gorgeous, delicate filigreed hair comb, CZ chandelier earrings and a glittering bracelet. Add a touch of contemporary feel by combining a bold berry lip, smoky eyes, and a chic, retro bun. Add divine to your wedding day look with our vast selection of bridal veils, jewelry and headpieces by shopping online or visiting us in Brooklyn at Bridal Styles Boutique! This entry was posted on Tuesday, May 28th, 2013 at 10:09 am	and is filed under Inspiration. You can follow any responses to this entry through the RSS 2.0 feed. You can skip to the end and leave a response. Pinging is currently not allowed.